Quality Migrant Admission Scheme (QMAS) is a point based immigration system in Hong Kong, which is the special administrative region of People’s Republic of china. The main objective of this scheme is to attract skilled people across the globe to reside and work in Hong Kong. The candidate is allowed to reside in Hong Kong without any prior employment offer if he or she meets required criteria. The rules can be changed frequently by the Immigration Department of HKSAR Government. Hong Kong Points Based QMAS is not applicable to the nationals of Cambodia, Laos, Afghanistan, Korea, Vietnam and Nepal. 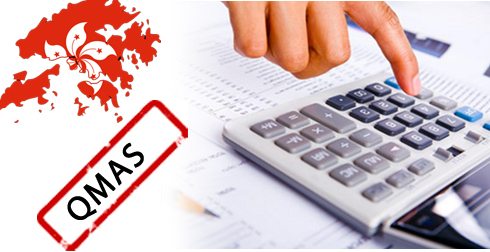 The following are the basic requirements to be met by the candidate under Hong Kong QMAS. The applicant’s age must be 18 or above while filing the application. Proof of financial statements showing that the applicant is capable enough to support his or her stay in Hong Kong without any public assistance. Candidate’s personal profile must be good enough without any adverse immigration record or criminal record. Should possess language skills in either Chinese (Cantonese or Putonghua) or English. The applicant must have first degree from either tertiary educational institution or recognized university. Technical qualifications, professional abilities, achievements and experience are considered as added advantages. Under Hong Kong QMAS Points based system there are two points-based tests i.e General points based test and Achievement points test. The applicant can opt for either of these two tests to get assessed. In General based test, points are allotted based on factors like age, academic qualifications or professional qualifications, experience in work, proficiency in language and family back ground, with prevailing minimum passing mark of 80 points. Achievements points test is applicable for the candidates who are having exceptional skills and have exceptional achievements. The test focuses on applicant’s achievements and is expected to score 165 points under single category.